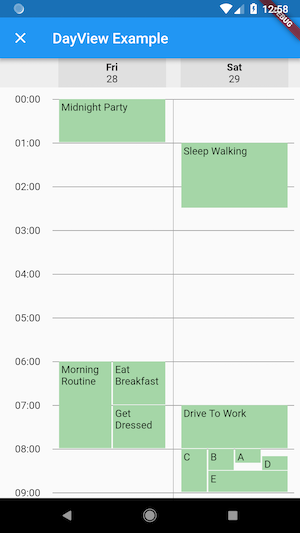 Collection of customisable calendar related widgets for Flutter. Set of widgets for displaying a day view. Day view can display a single or multiple days. Widget similar to PageView, but instead of page-number it gives each page a list of days. DaysPageView can display virtually infinite number of pages. Widget similar to PageView, but instead of page-number it gives each page a month. MonthPageView can display virtually infinite number of pages. 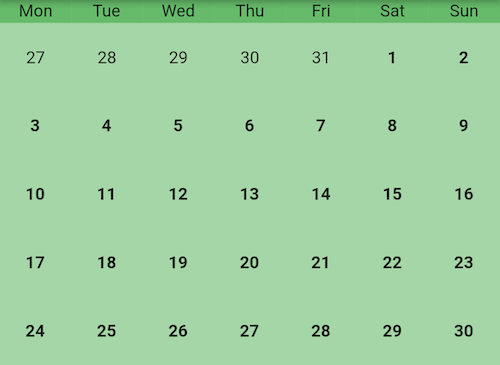 Widget for displaying a grid of days of some month and optionally a header.